Over 20 years ago, David Davis, began creating a synergistic group of interwoven companies, all providing innovative, creative, high-tech, top of the industry products. Precision Products, Inc. manufactures OEM replacement parts for major manufacturing industries around the world including textiles, aerospace, aviation, agriculture, automotive &more. Precision Products, Inc. is an ISO-9001:2008 registered company that supplies state-of-the-art engineering, machining, and research & development services. Precision Products also manufactures proprietary extruders for its sister company, LexLawn. 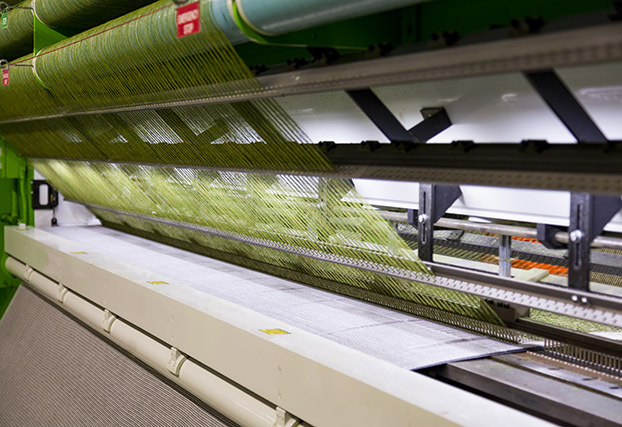 LexLawn manufactures synthetic yarns including nylon and poly-blends.LexLawn works with Precision Products in designing extruders unique to the industry and capable of producing a wide variety of fine, synthetic yarns created to our customers’ needs -- any cross-section, any denier.LexLawn supplies its sister company, Go Green Synthetic Lawn Solutions with the highest-quality synthetic yarn. 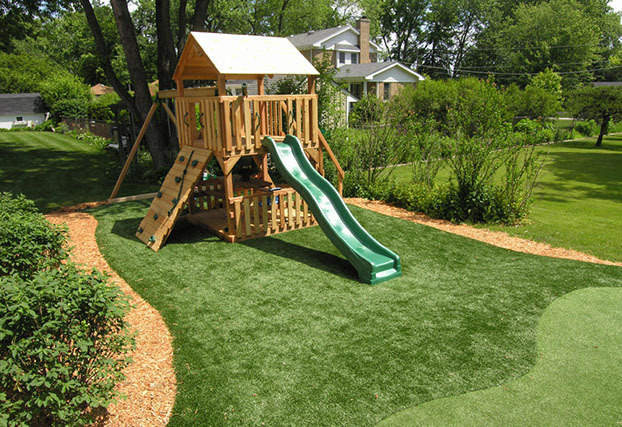 At Go Green Synthetic Lawn Solutions®, vertical integration is our key to providing the most sophisticated artificial grass available on the market today.Go Green Synthetic Lawn Solutions® is made in the USA and is the first choice for residential, commercial and other applications requiring a superior artificial grass alternative. 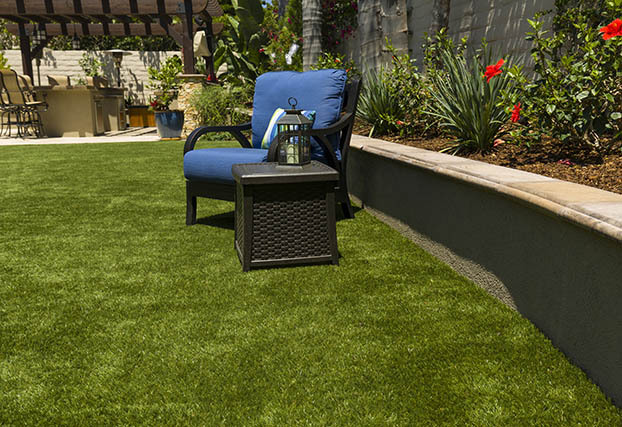 Go Green is the Home of Platinum Heatmaxx®, the FIRST synthetic turf warranted against reflective burns! 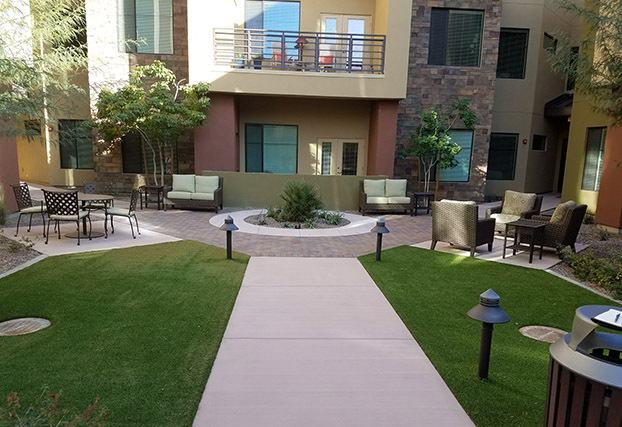 Go Green offers a variety of product lines to accommodate any need, for any region in the U.S. Our lawn solutions consultants are here to assist you in identifying the right product for your needs and to provide quality, cost-effective solutions. Call 844.368.4765 or Click here for assistance. 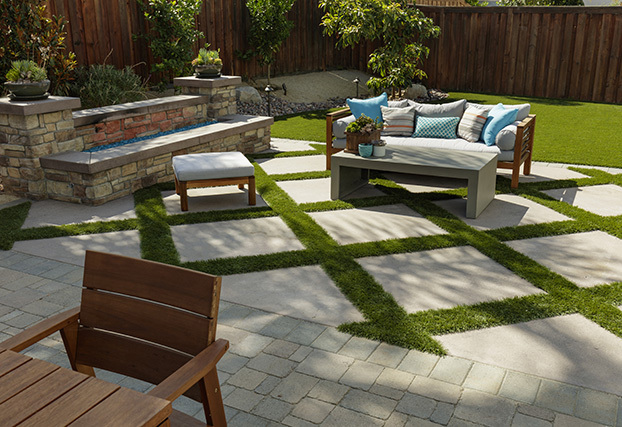 Backyard and patio paver installation. Pool Area installs. 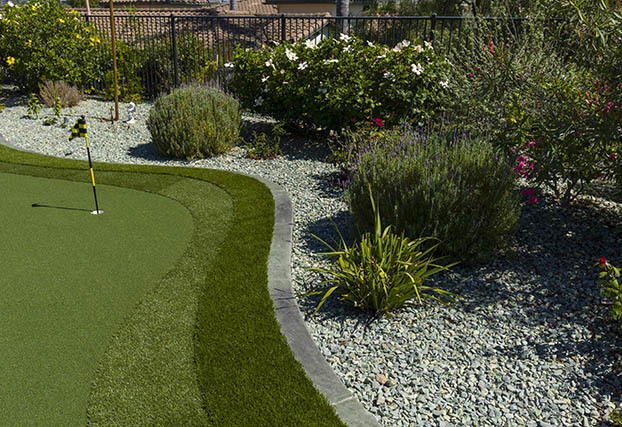 Choose from any of our landscape products for a beautiful, low maintenance yard around your pool. Backyard Landscapes. Products rated for low to heavy foot traffic. Platinum HeatMaxx 65® closeup. 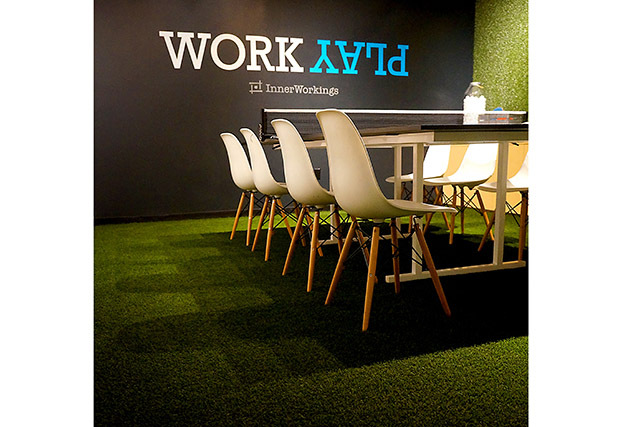 The only artificial grass warranted against reflective burns. Platinum HeatMaxx 65®. Perfect for commercial projects with high foot traffic or required fire rating. Reflective Burn Condition - BEFORE Go Green installation. Watch for areas with Southern exposure and Low-E windows! 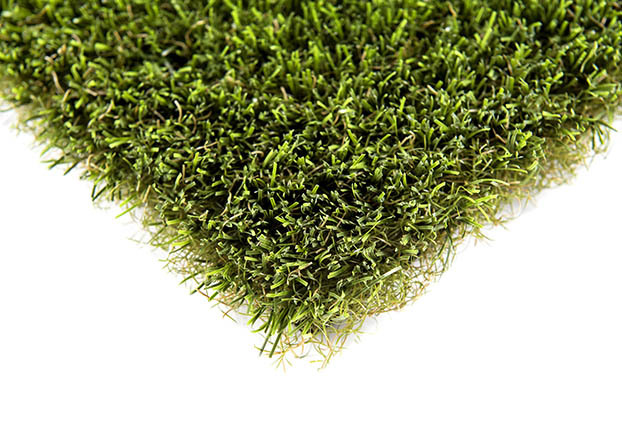 Every Go Green Synthetic Lawn product utilizes BioCel™ Technology in our backing system. This system displaces about 60% of the petroleum normally used and replaces it with soyols used from soybean plants. All of our products are Lead Safe/Compliant. 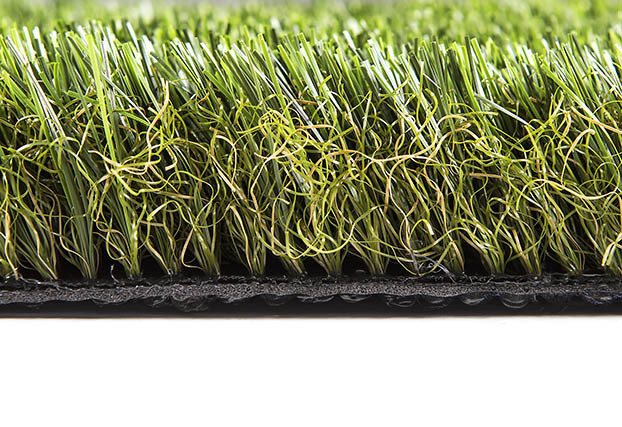 Platinum HeatMaxx® - the only artificial grass warranted against reflective burns!